Hi! Wasn’t I just saying something last week about how I abhor the cold? Well, I found a temporary fix last Tuesday when I skipped town for a week in Puerto Rico! I’m scheduled to return tomorrow night, but I’m seriously considering “accidentally” missing my flight. We rented a condo in San Juan for the week, and we’ve been splitting our time between San Juan and other areas of the main island. We invited my parents to join us on the trip as a 45th anniversary gift (Happy Anniversary, Mom and Dad!). They were kind enough to look after Siyona while Neil and I went biking through Pinones, an area just outside of San Juan. 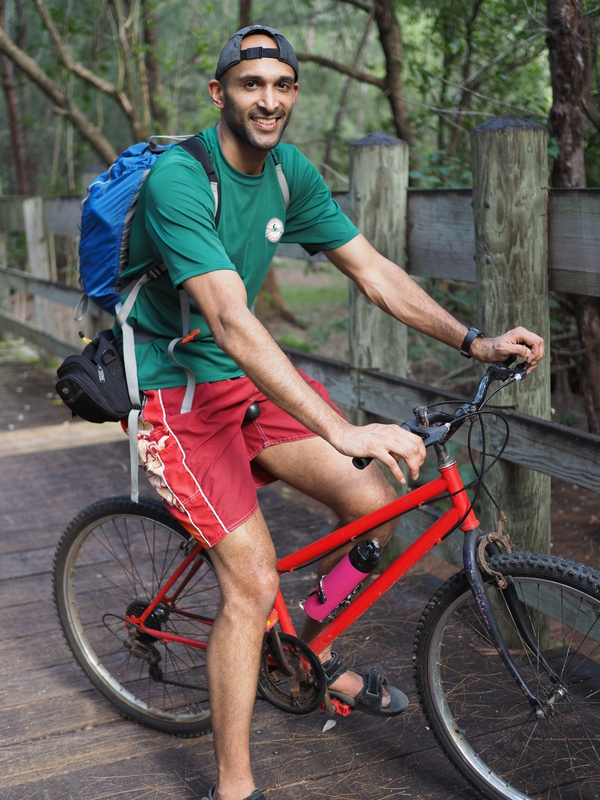 We rented bikes from a COPI shop, which we thought were a steal at $5 an hour until we learned why they were so cheap – they’re all in terrible condition! The tire on the first bike Neil rented blew out when we cycled just a few hundred meters from the shop! We cycled back and he swapped it out with the beauty pictured below. The pink water bottle came with the bike. Lucky Neil. 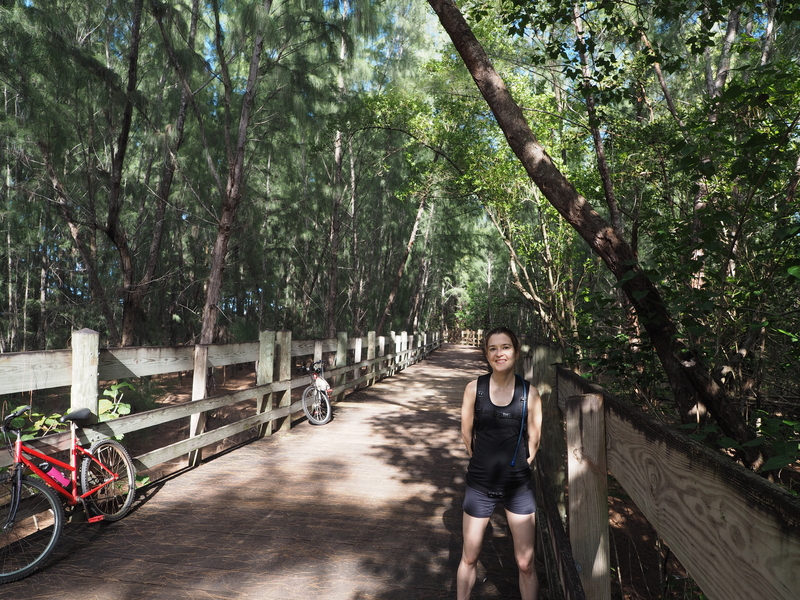 Despite the poor condition of the bikes, it was a truly lovely ride. 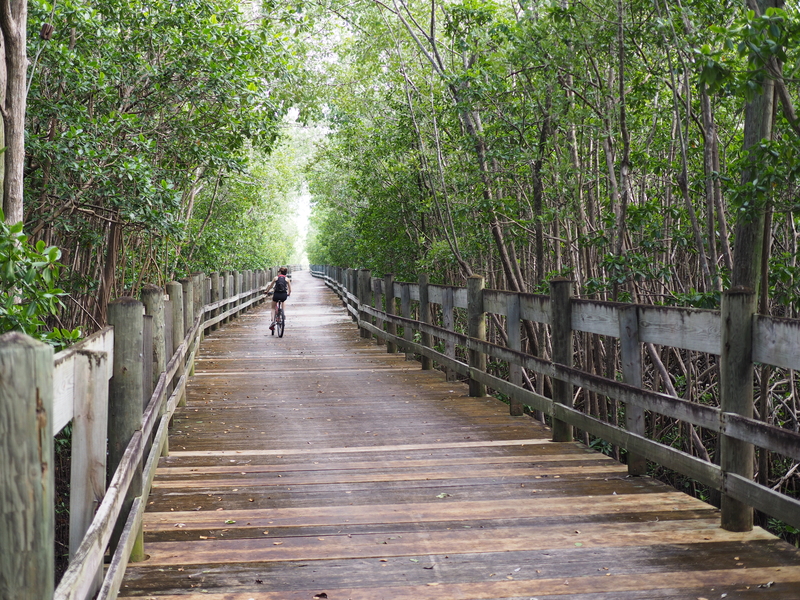 Stretches of it were along the coast, but the trail also took you through the nicely shaded Bosque de Pinones, or Pinones Mangrove Forest. On Saturday we spent several hours in Old San Juan. Our first stop was a coffee shop recommended by the Lonely Planet called Finca Cialitos. Let me digress for a moment with a side story. I absolutely love coffee, but about 6 months ago I wanted to see if I’d feel better throughout the day if I gave it up. I was hoping that I’d feel exactly the same on or off coffee because truly the last thing I wanted to do was stop drinking it! But alas, after about a week of feeling like garbage (turns out I had a bit of an addiction on my one coffee a day! 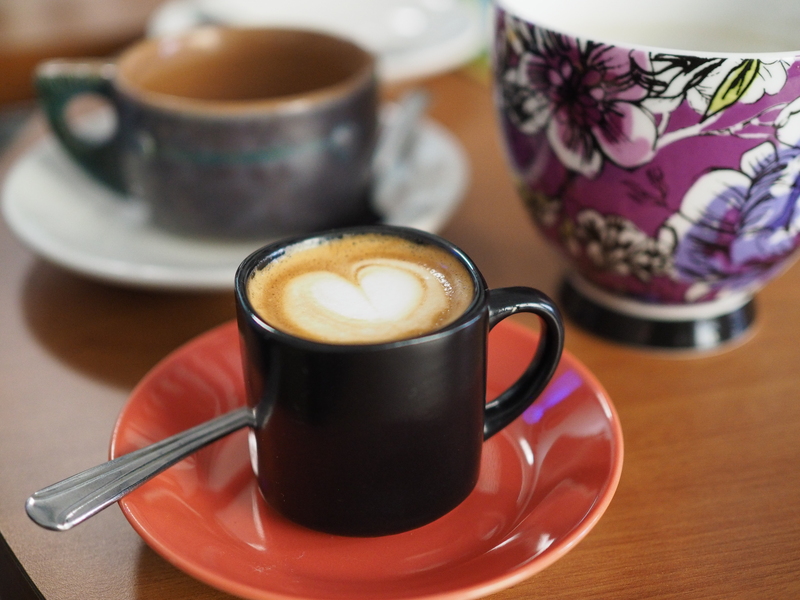 ), I was feeling better when off the coffee: my sleep improved, and my energy levels were more balanced throughout the day. After mourning the loss of my regular cup of joe, I’ve come to appreciate coffee as an occasional treat. And what better treat than having my favorite espresso drink at Finca Cialitos! Siyona liked it too. Well, she liked the cups anyway. I told her no coffee until she’s at least 3. 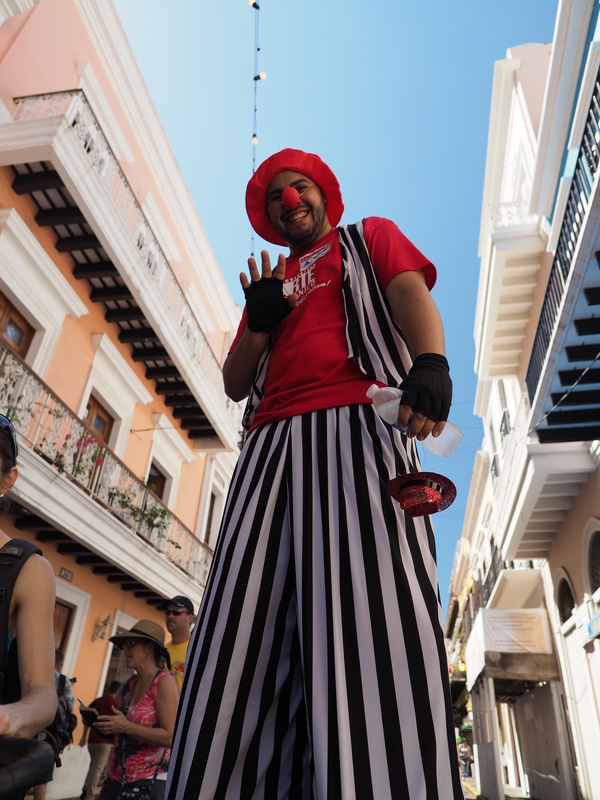 After taking our time at the coffee shop (things move slowly in Puerto Rico), it was off to tour the rest of Old San Juan. As luck would have it, a street circus was taking place that weekend, and we made a new (very tall) friend. 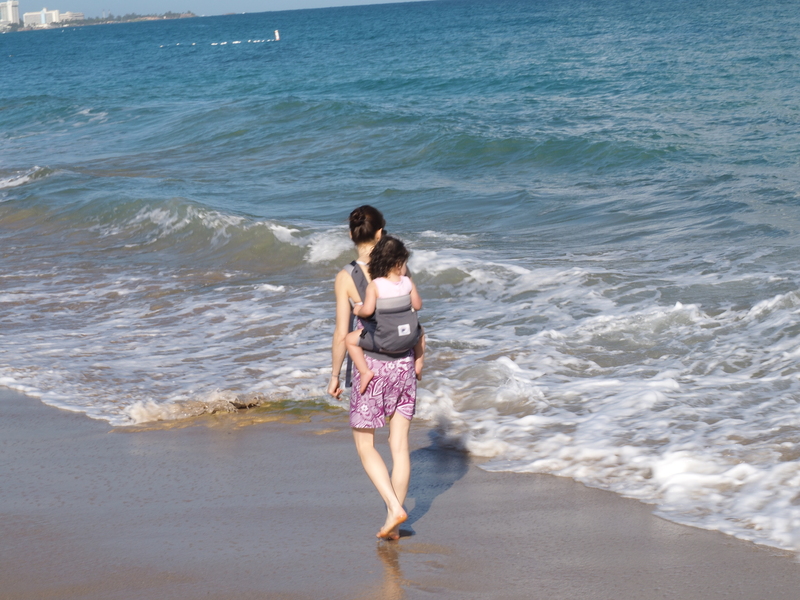 And lest you think we skipped the beach, we’ve definitely spent our share of time there too. 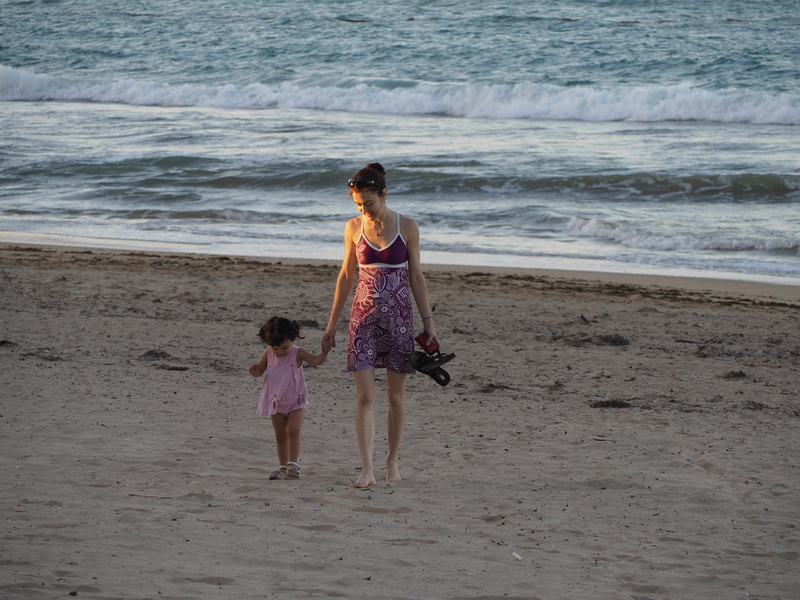 Here are two pics of me and Siyona walking along the beach in Isla Verde, one of the nicer beaches in San Juan.